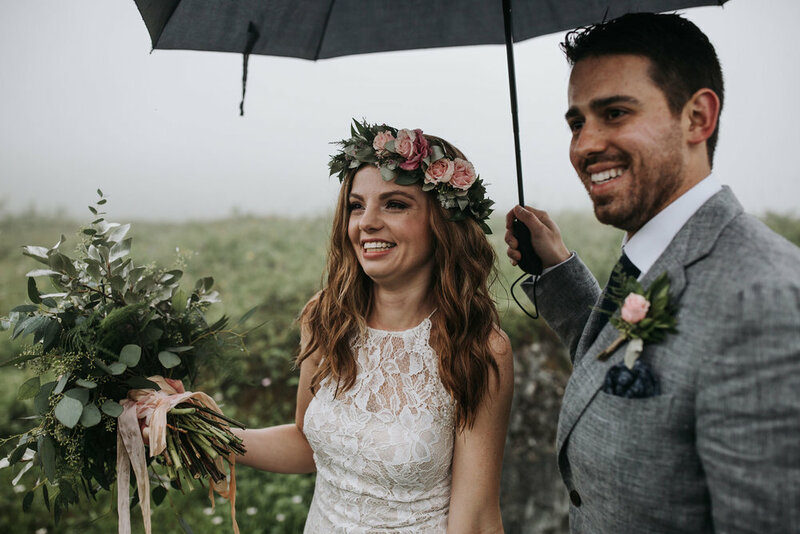 These photos are a testament to April and Wes. 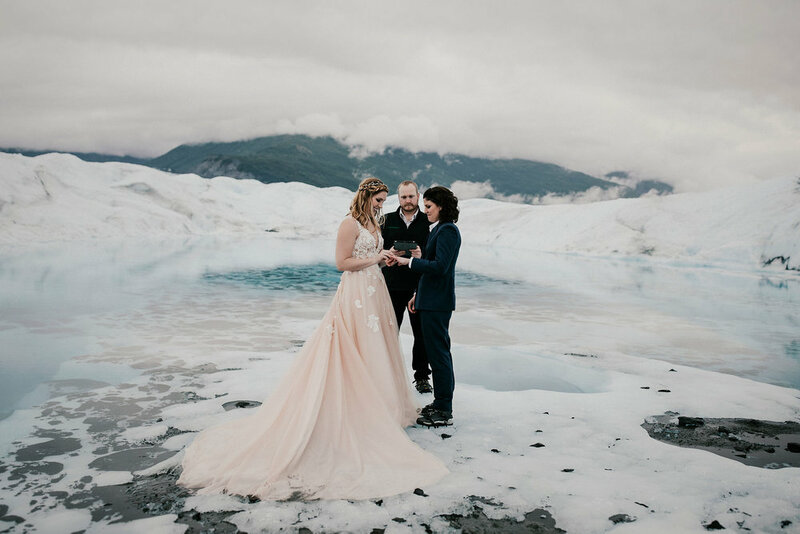 Their kind nature and “up for anything in Alaska on my wedding day” attitude made this day phenomenal. 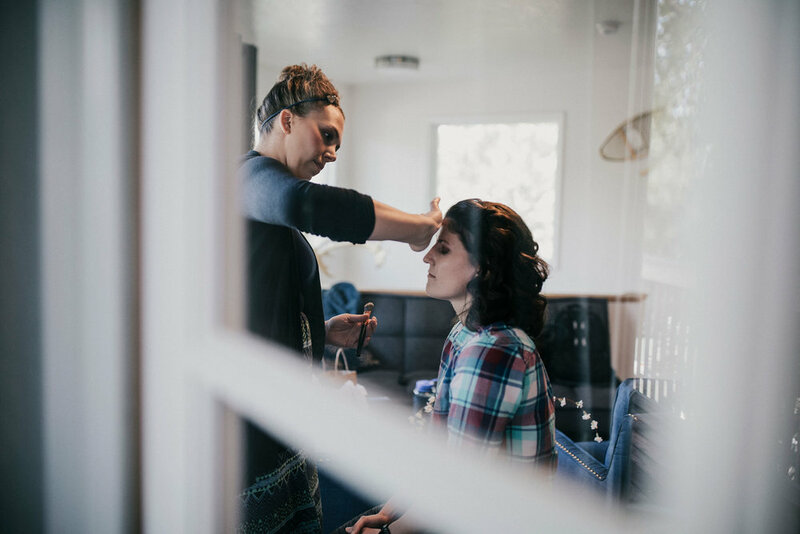 They spent their morning getting ready together, and I remember April saying it would have felt weird if Wes wasn’t there with her. 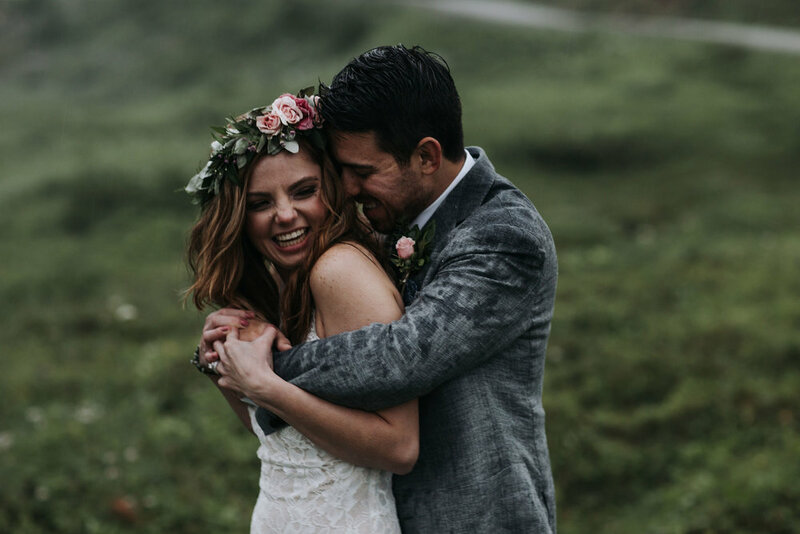 They have a bond that only best friends and lovers can have. 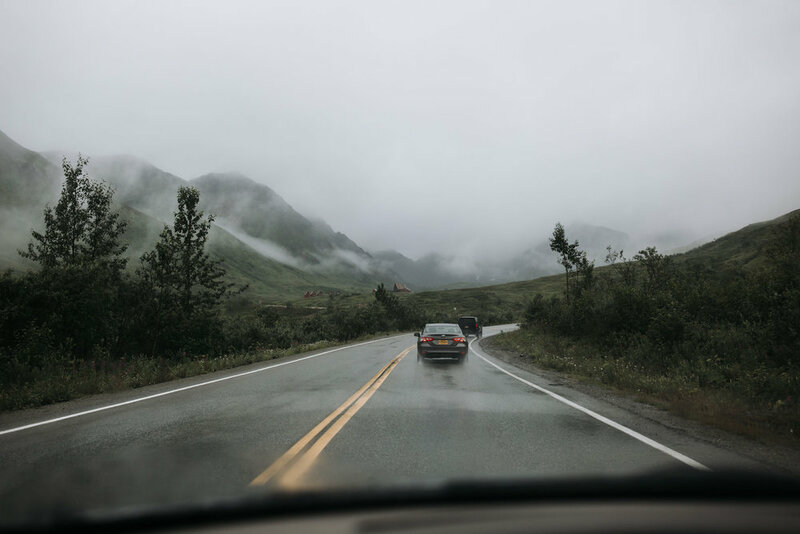 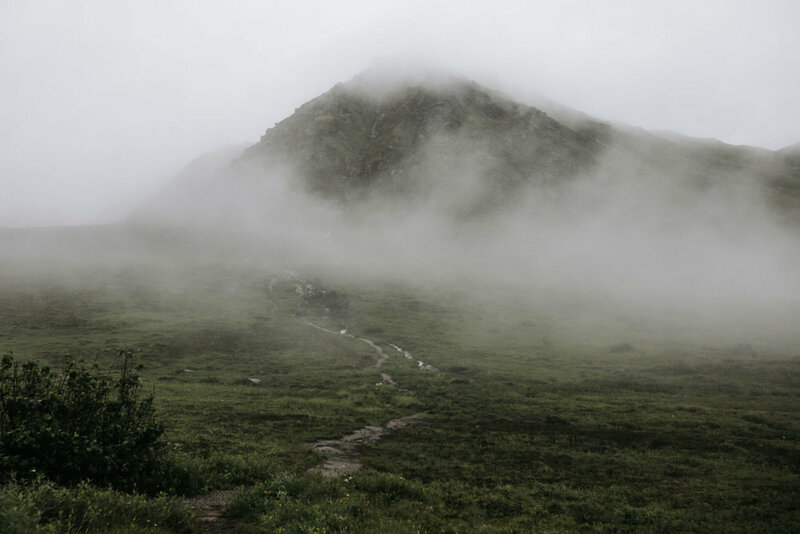 Hatcher Pass regularly reminds us that Alaska’s weather is unpredictable, and we’re absolutely not in control. 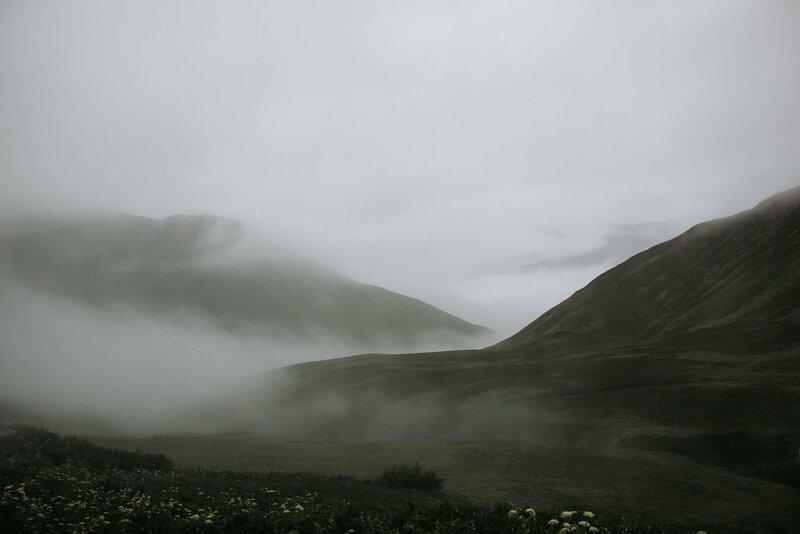 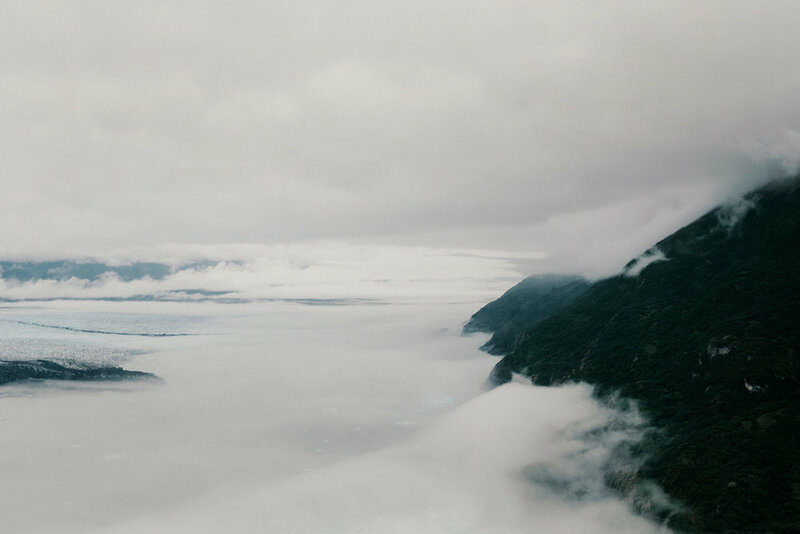 When we started into the park, it was just a normal cloudy day. 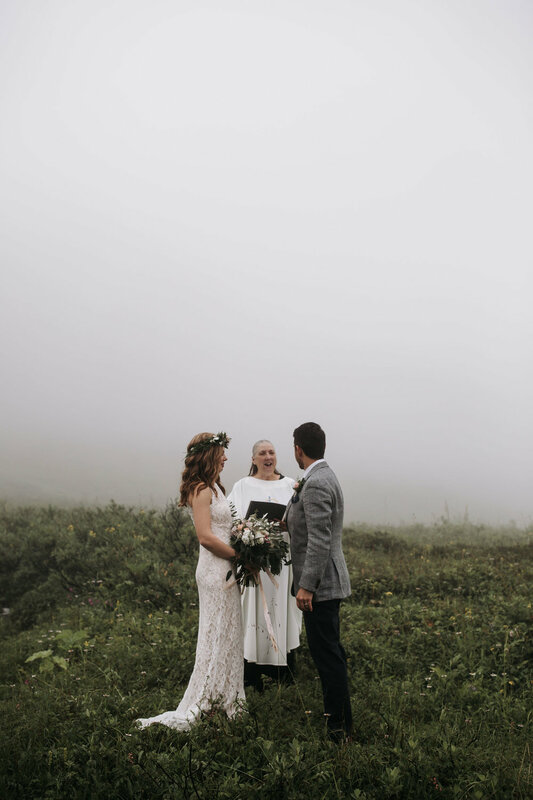 Mid-hike to their ceremony spot, the fog rolled in, we couldn’t see 10 feet in front of us and then the rains came. 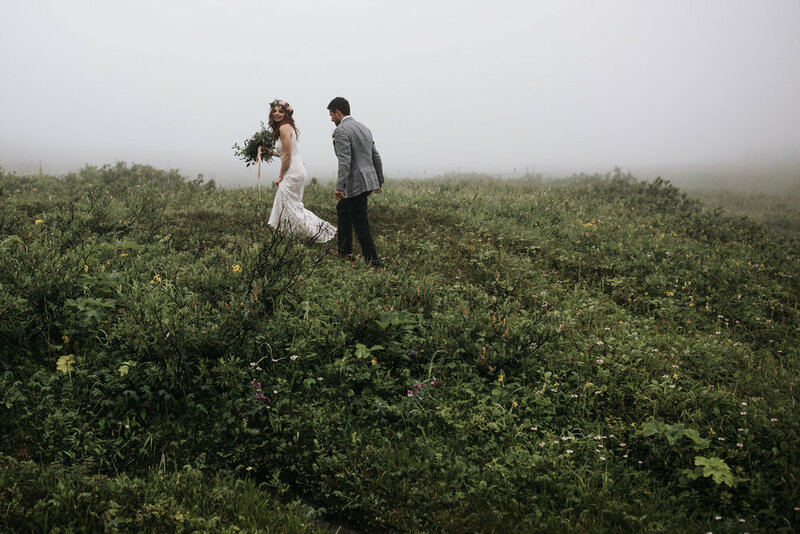 The silver lining was that it was moody, beautiful and most of all, an ADVENTURE! 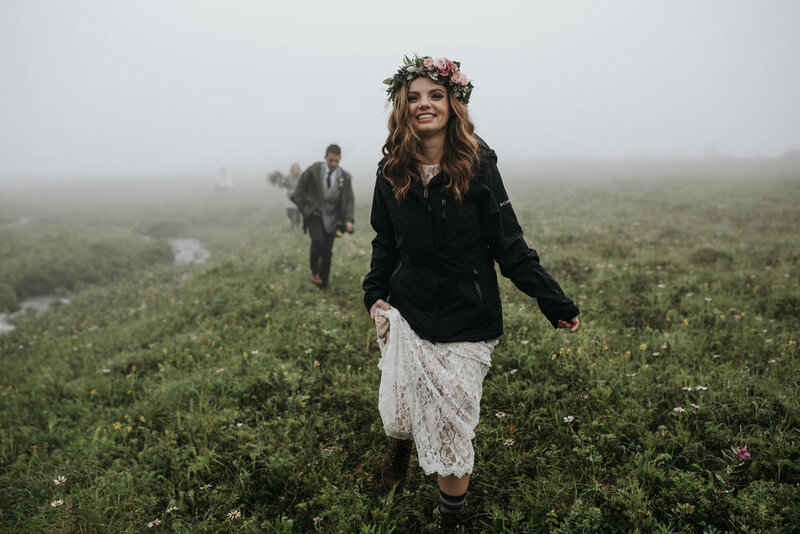 April was even hopping creeks and smiling the entire time, wedding gown and all! 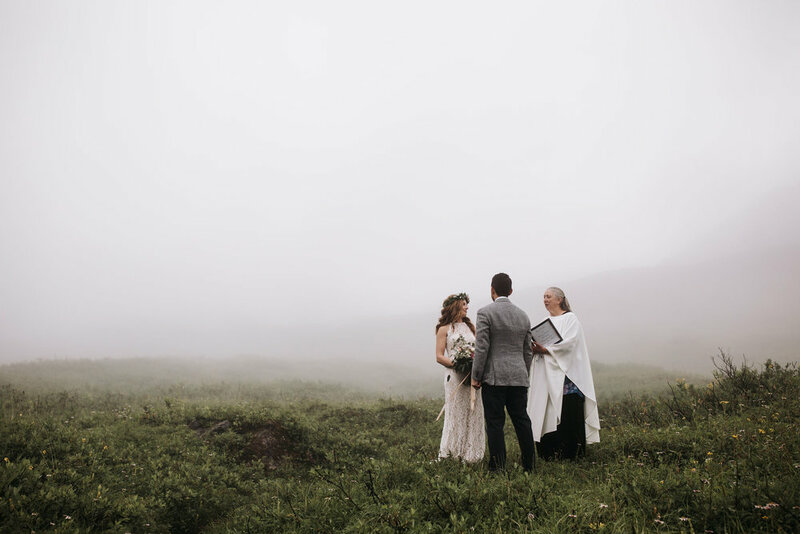 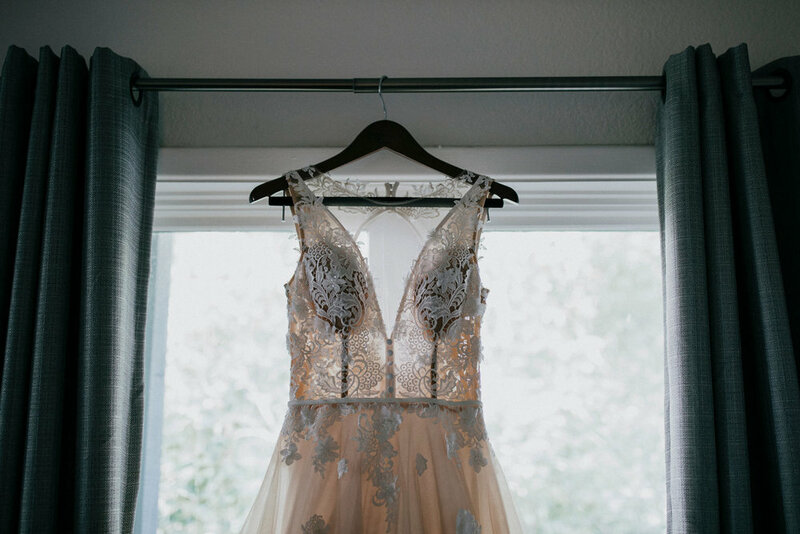 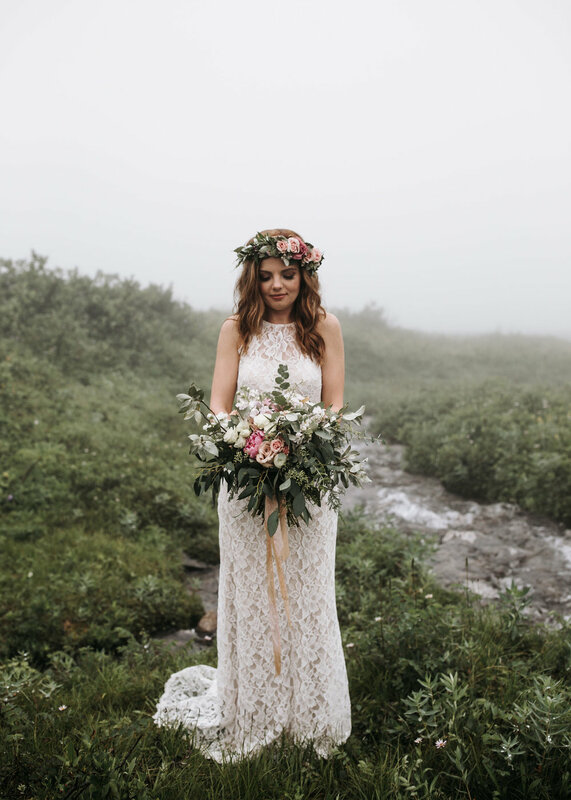 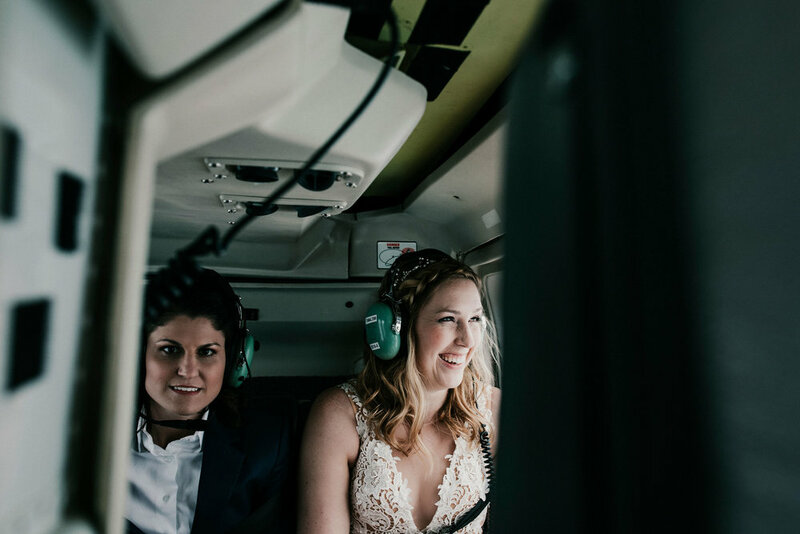 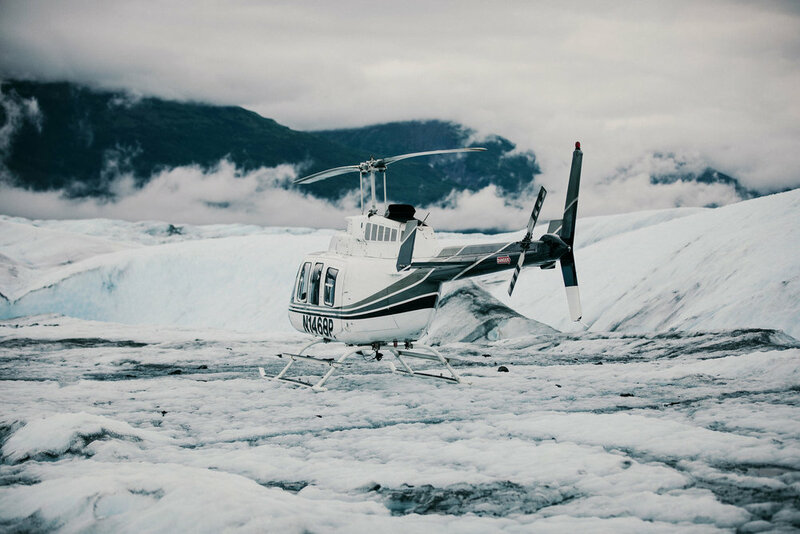 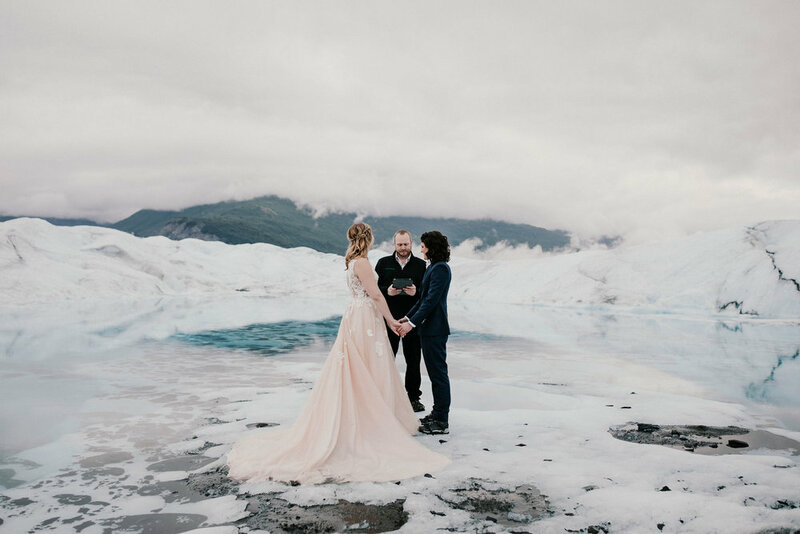 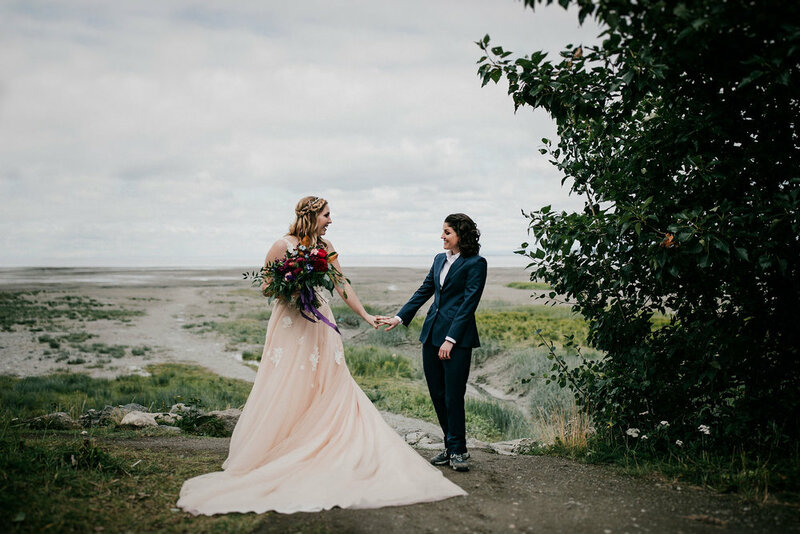 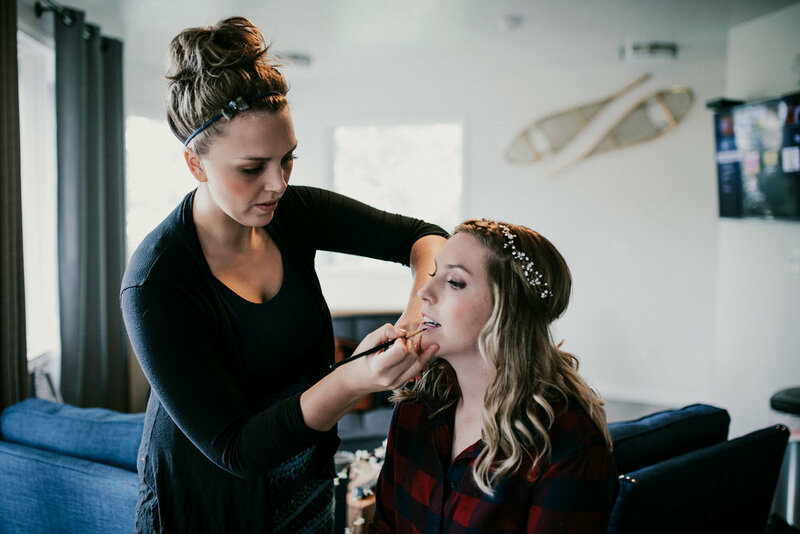 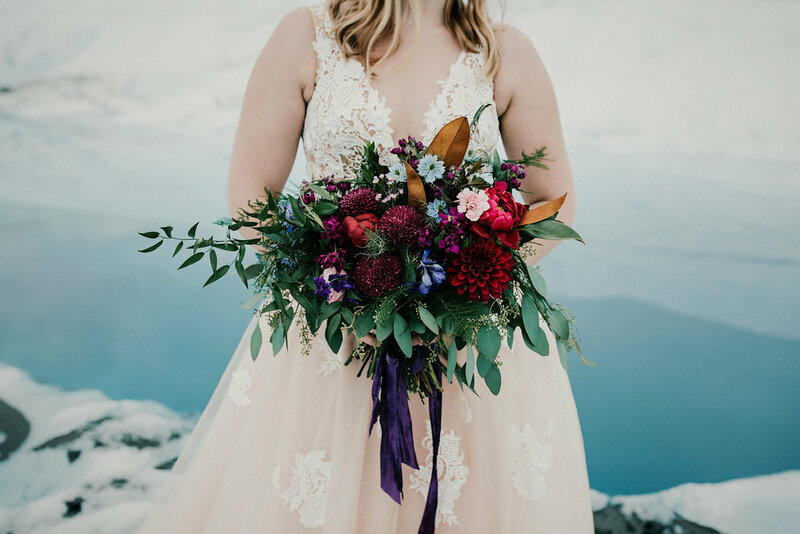 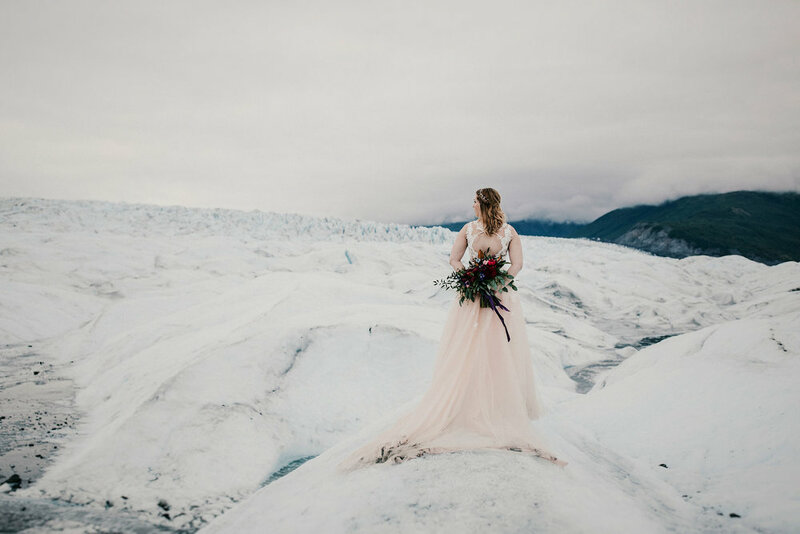 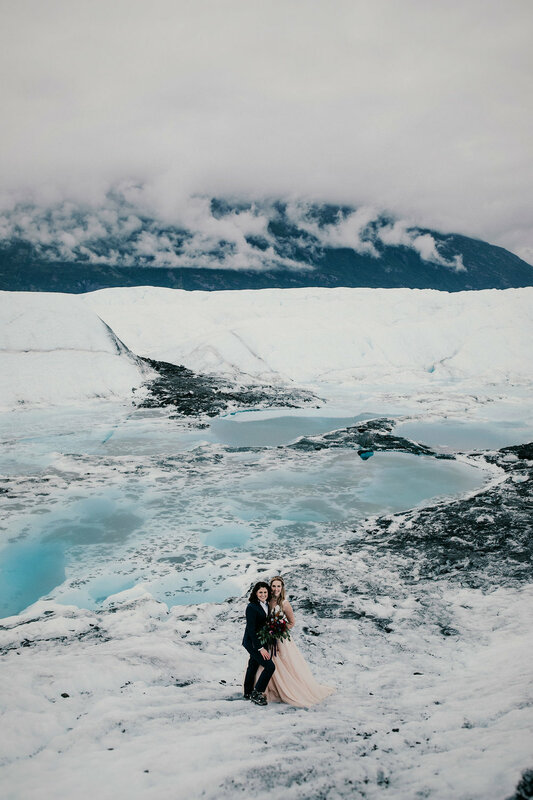 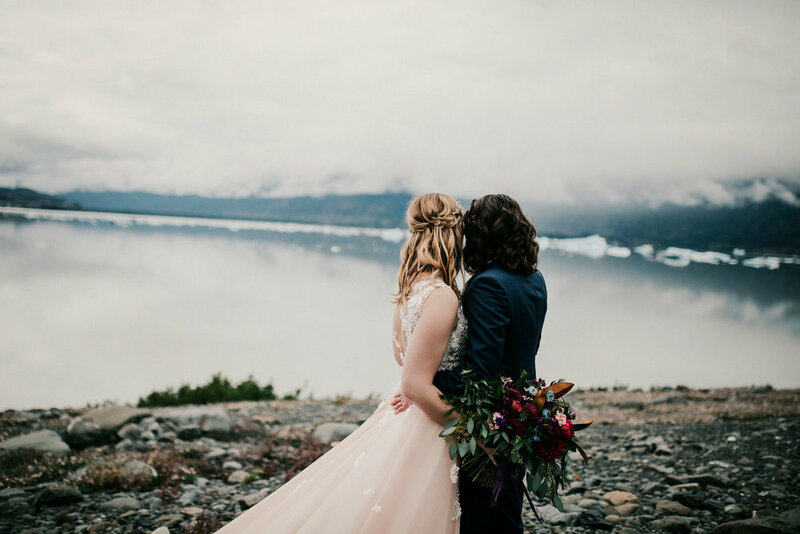 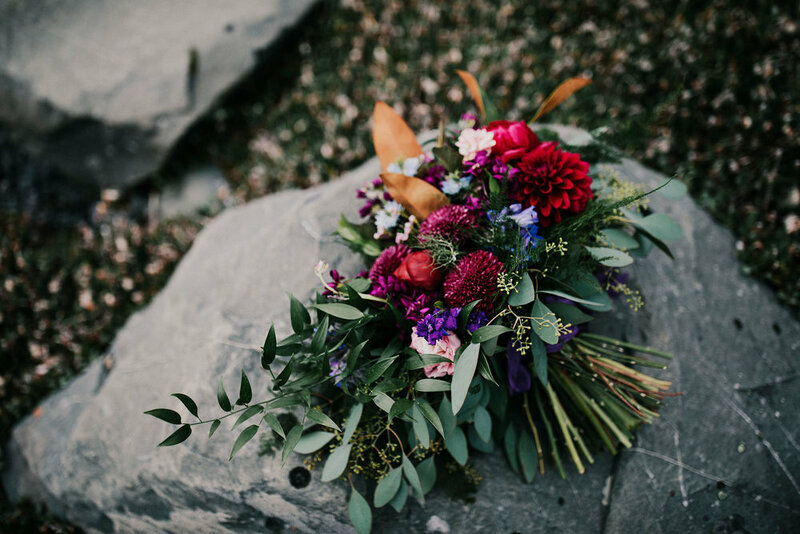 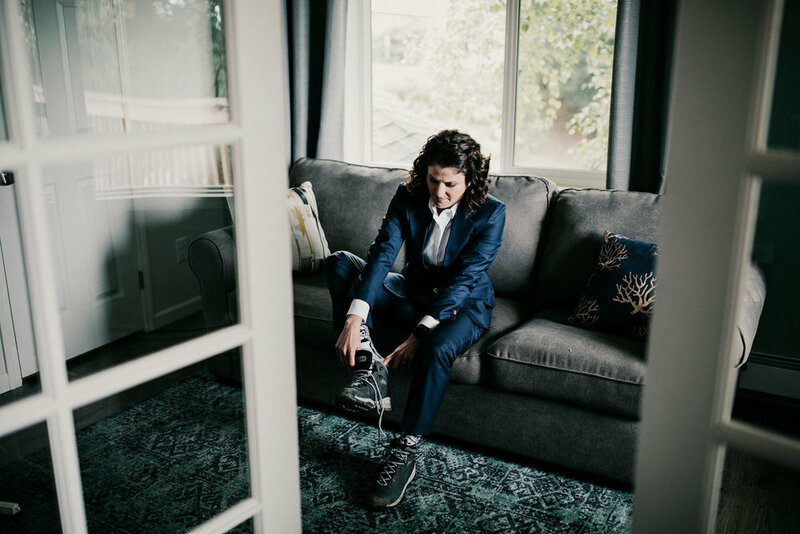 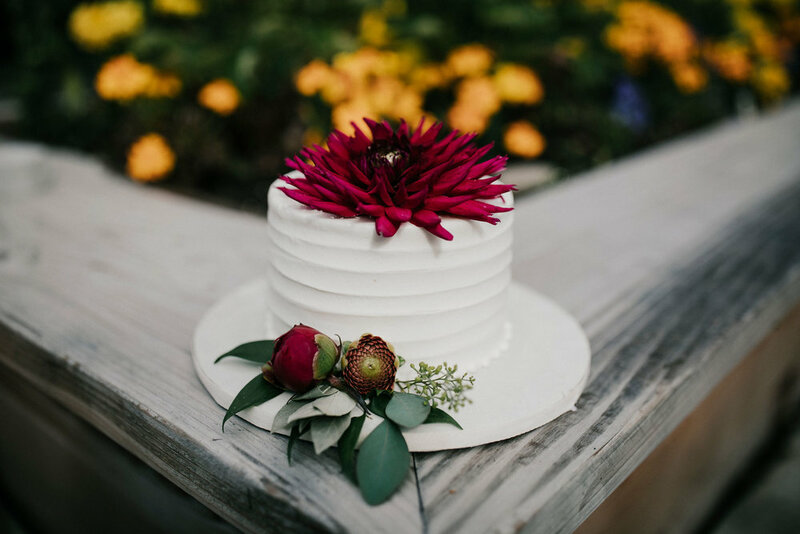 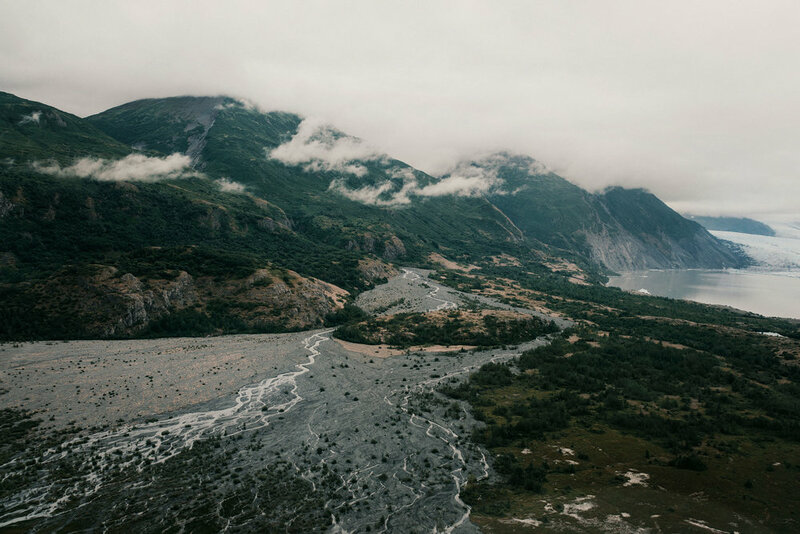 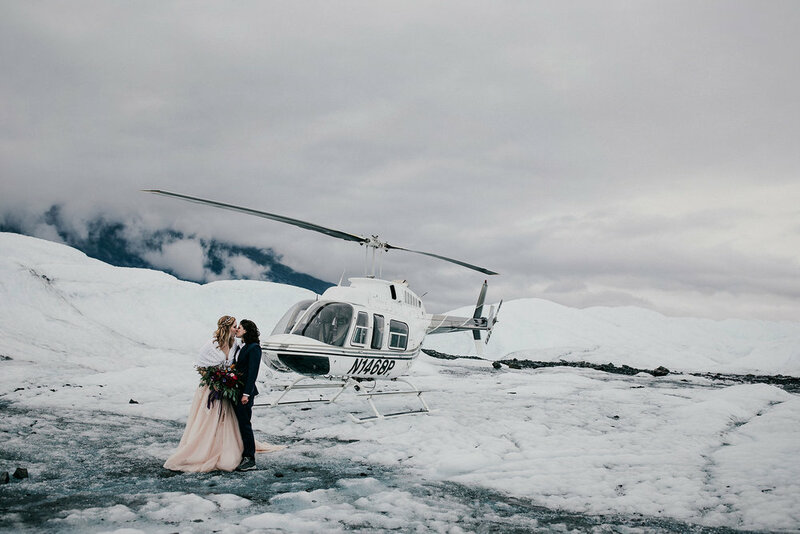 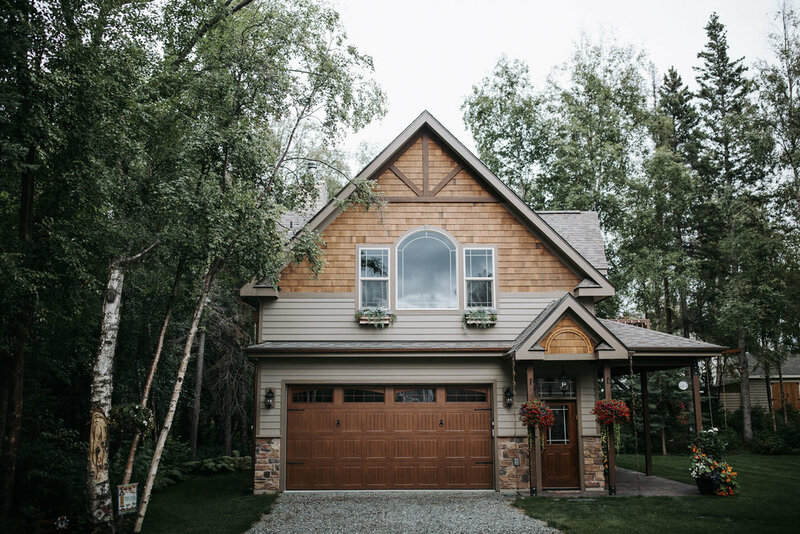 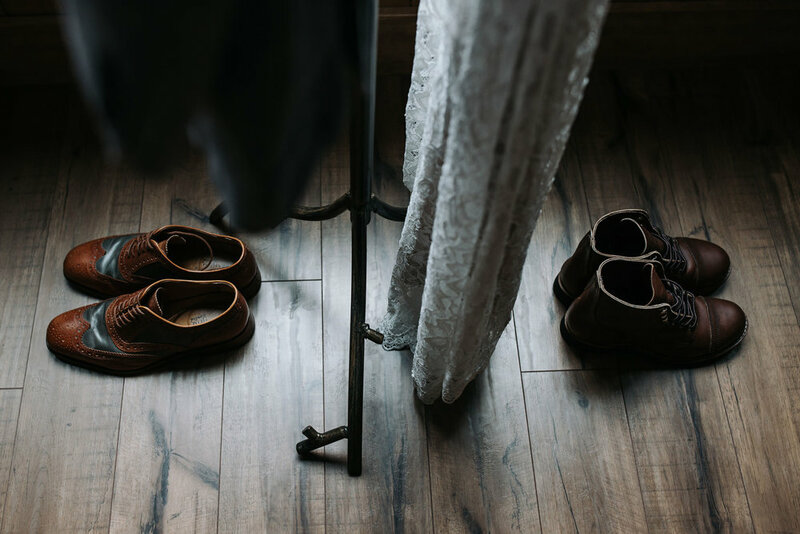 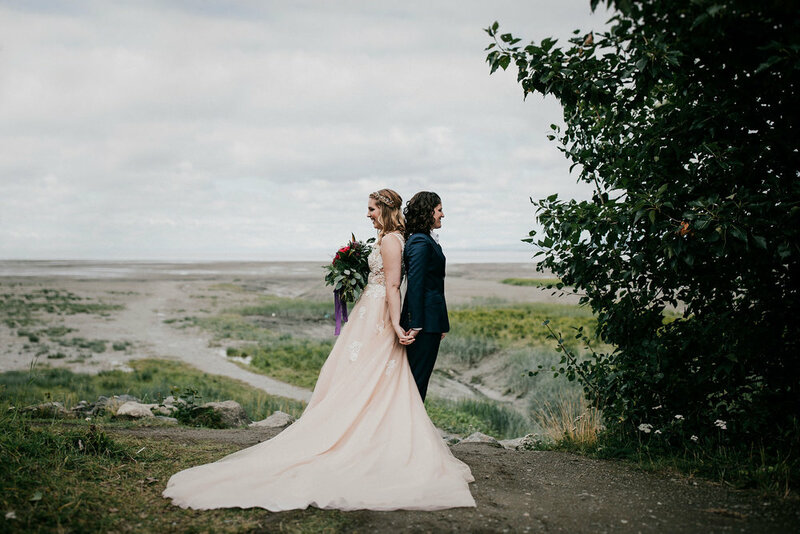 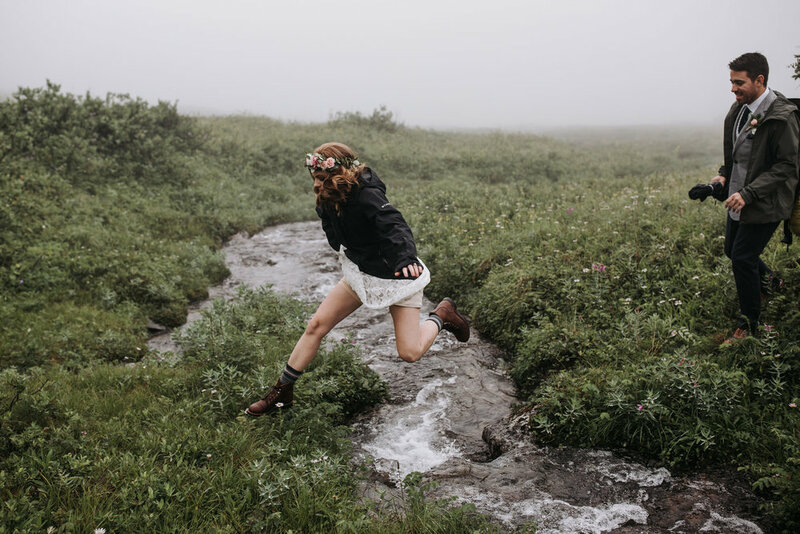 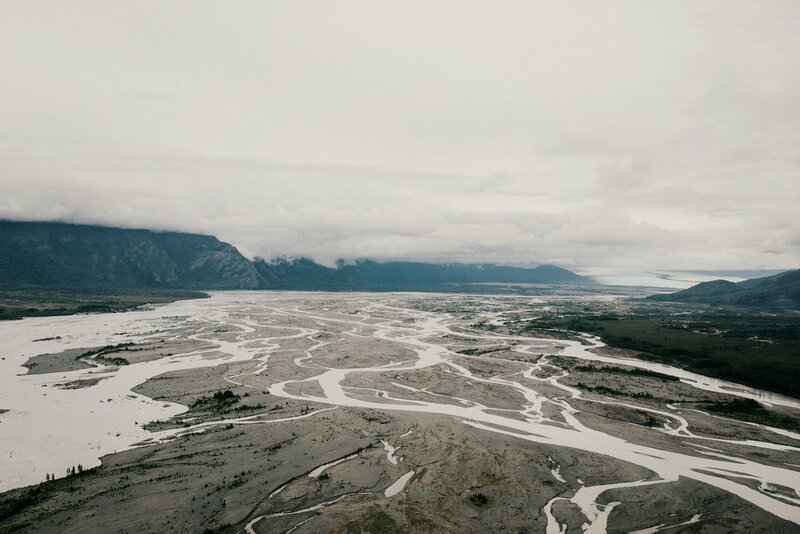 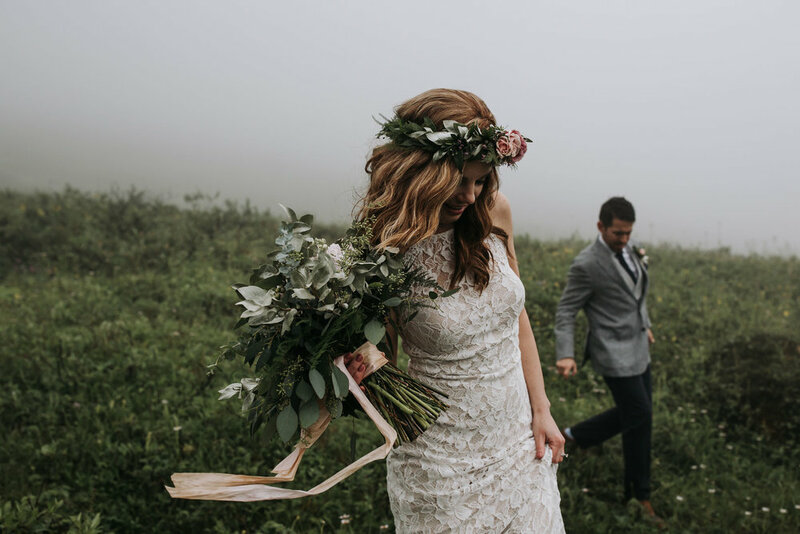 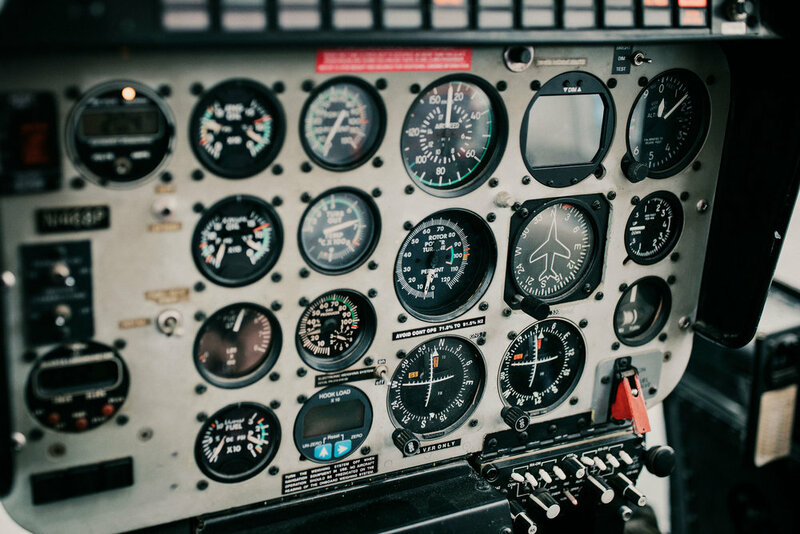 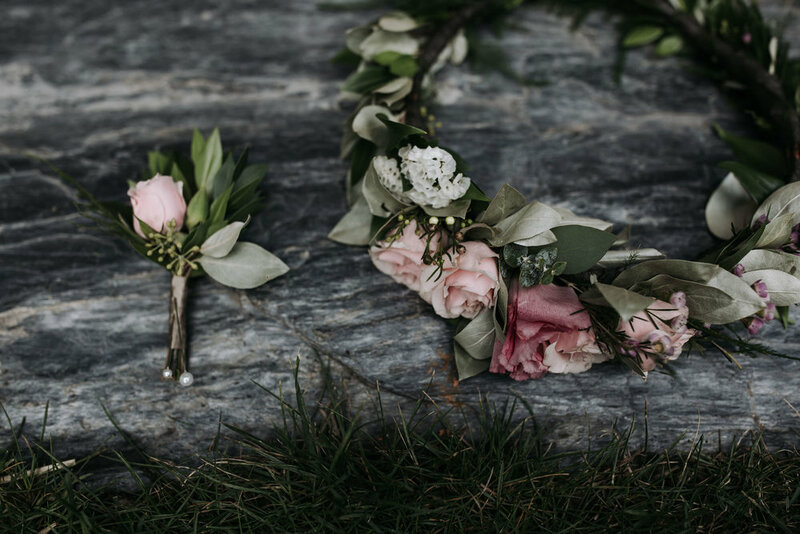 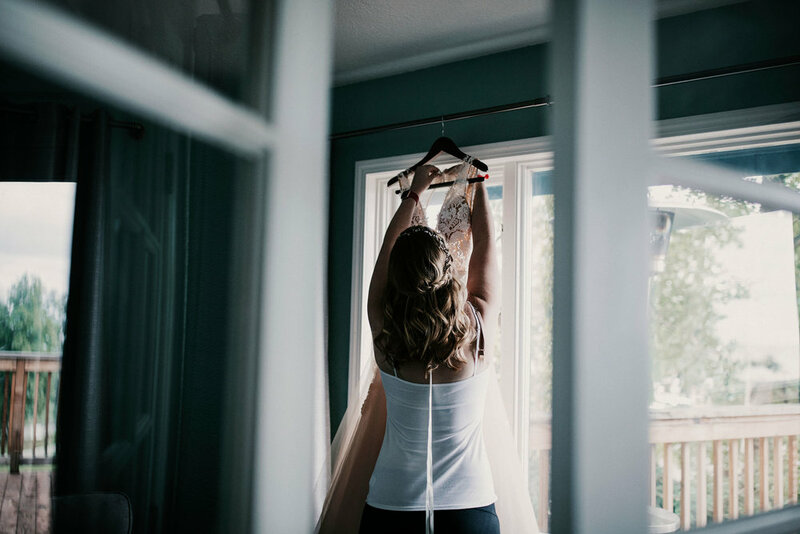 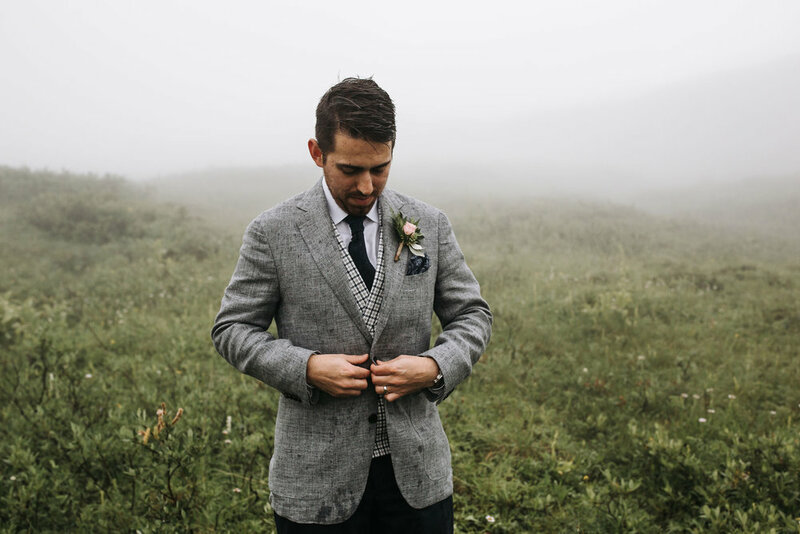 Choosing to elope in Alaska comes with diverse weather, but that makes it the unique opportunity for the most fun and unpredictable wedding day in the most wonderful way. 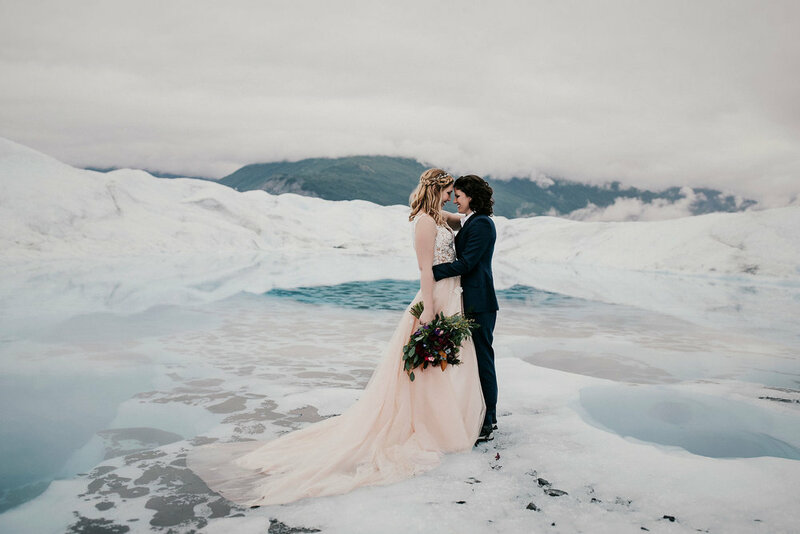 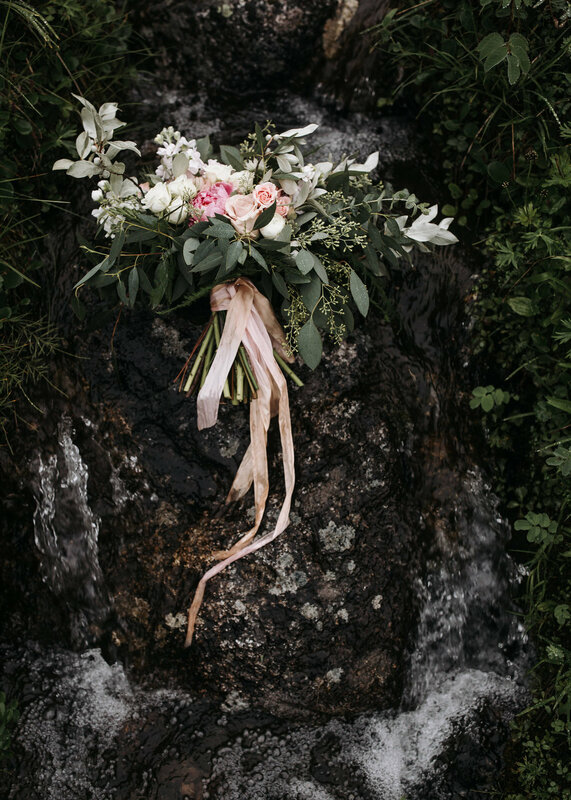 Congratulations to April and Wes and their beautiful elopement in Alaska! 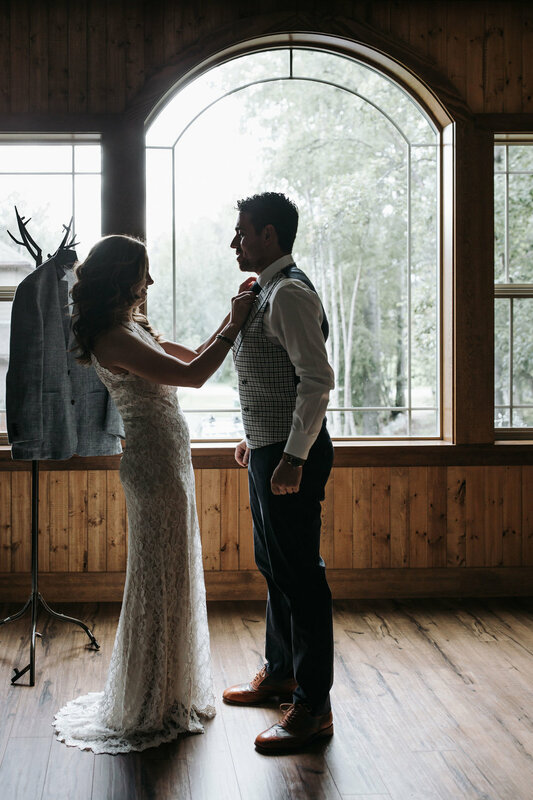 Photos - The Adams Co.